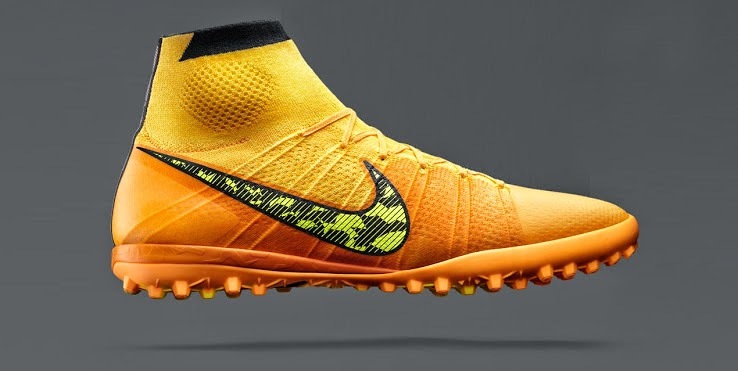 This past week Nike launched the new orange Nike Elastico Superfly IC and TF boot. This is their attempt to bring indoors all the qualities of the Mercurial Superfly FG and replace the Nike Bomba as the preferred indoor boot. This is the new orange Nike Elastico Superfly IC boot. This new boot is almost an exact replica of the Mercurial Suprefly FG. The design is the same and even the materials used are the same. Both boots use the knitted Flyknit material combined with the NikeSkin and the Dynamic Fit collar. 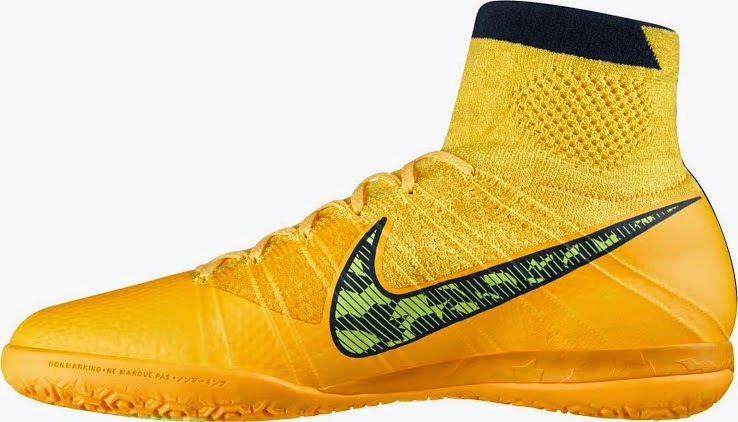 The only main difference between the Mercurial Superfly FG and the Elastico is the use of extra layer of NikeSkin in several areas of the Elastico boot. The new Nike Elastico Superfly boot comes in both IC and TF. IC for indoor courts and TF for turf surfaces, the only difference between them is the bottom grip of the boot, all else is exactly the same. 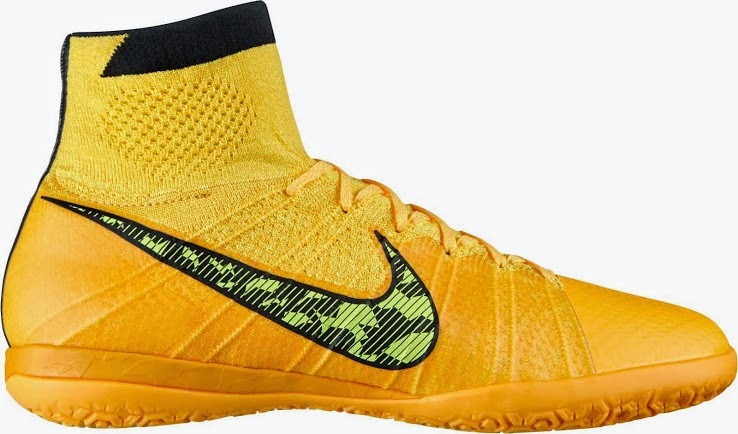 The new Nike Elastico Superfly IC boot will be available on October 9th for a price of $150.